The race is on as homes at the new College Green development in Godalming go on sale for the first time. 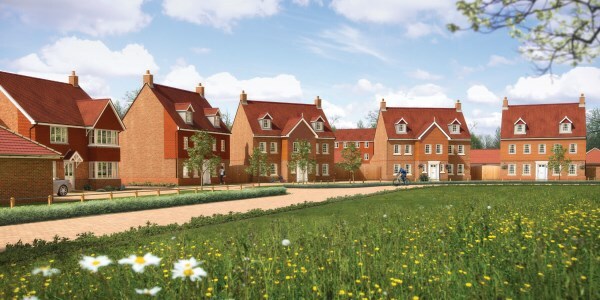 With work just starting on the former Godalming College land, Bovis Homes have given people the opportunity to register their interest in the homes or even reserve one of the first plots. The plans will be available to view at Savills Estate Agents on Guildford High Street, where buyers can also get ahead of the game and reserve a new property 'off-plan'. "This will be an exclusive development of 46 homes in a really delightful setting," said Bovis Homes' regional marketing manager Candice McCabe. "We will officially launch College Green and open a show home there early in 2015, but in the meantime prospective buyers can go to Savills and make their move. "We have been inundated with enquiries already and expect a lot more interest, as this is a lovely part of the world with excellent transport links and a sought-after school catchment area, and with properties ranging from three-bed to six-bed homes, we are expecting a wide range of buyers to be interested." At release, prices start at £399,950 for a three-bedroom 'Southwold' home, which like other properties at the location has features such as a fully-fitted kitchen, master bedroom with en suite and built-in wardrobes included in the price. All these all-inclusive properties also come with a 10-year NHBC warranty and a two-year Bovis Home guarantee. To help buyers in securing their new home at College Green, Bovis Homes offers a variety of purchase assistance schemes, including the Government-backed Help to Buy Equity, and a stress-busting part exchange scheme called Home Exchange.